This week, our partnership with Critical Distance brings us further discussion on one of the most interesting works of game criticism ever to be playable, the untold story of the Net Yaroze homebrew community, and more. Several reviews have described this game as self-indulgent. Certainly Davey-the-character is portrayed as self-indulgent. But I think The Beginner's Guide makes the most sense if Davey-the-author is in sympathy with both Davey-the-character and Coda-the-character, exploring the tension between wanting to know and be known, and wanting security and privacy; needing validation, and fearing exposure; wanting to productive and visible, and feeling that the creative wellspring has dried up. The Beginner's Guide is a videogame about videogames, then, but not in a cloying you-are-the-monster way or a hey-remember-Mario way. It's a videogame about the act of engaging with a videogame, both through creation and consumption. It presumes a particular literacy in its audience to recognise certain glitch aesthetics and understand certain things about the Source engine, but this feels less elitist and more assuming the audience's intelligence. This videogame wants the player to be aware at all times they are exploring, unpacking, and ultimately ruining a videogame work as they trod all over it, and it wants the player to think about what it means to engage with a videogame (what the game engine does, what the player does, what certain mechanics and aesthetic choices do). The Beginner's Guide is a self-reflective exercise for Wreden, almost definitely. 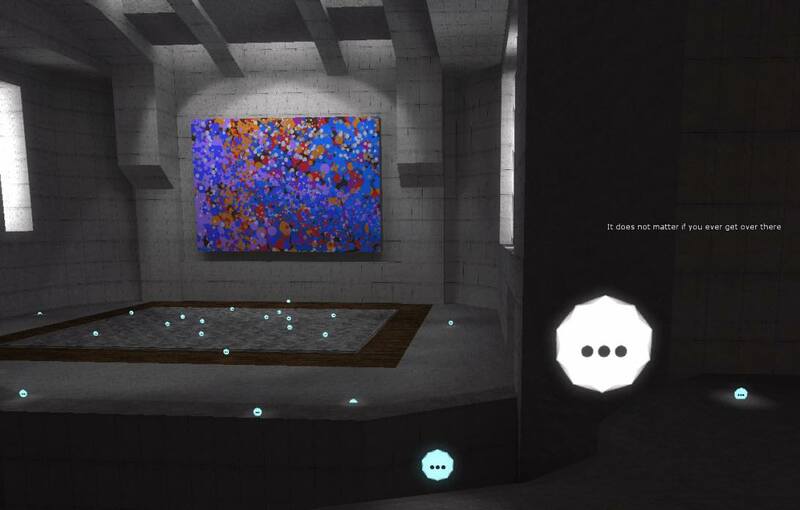 But it is also a self-reflective exercise for the player to think about their relationship with virtual spaces, and with the human beings who craft them. Every simulation, of course, is a simplification of the real-world system it models. The issue with Prison Architect is not that it fails to represent every aspect of prisons' complexity, but that the aspects it omits are among the most important for understanding why and how mass incarceration is the way it is. Perhaps this makes for a better game, but it's ludicrous to pretend that it makes for a worthwhile study of the 21st century American prison, which has much more to do with decades of punishing state and federal policies on incarceration than the variety of meals inmates are offered. The developers on the Net Yaroze were the vanguard of console indie development as we recognize it today. Whilst every platform up till this point had some form of associated homebrew scene, the Net Yaroze marked the dawn of something bigger: a commitment from the world's largest console developer to foster future talent by way of building a thriving indie scene. Nowadays, there's nothing particularly remarkable about a publicly available, consumer-oriented devkit. But in 1997, it was a revelation. [...] [A] close-knit online community of hobbyists banded together to cut their teeth on console game making. Many of them have since moved on to triple-A development, and some have even founded their own studios. Chamberlain speaks with several Yaroze developers, who relate their experiences developing in this brand new territory. Developers had to think up crafty solutions to squeeze out what they could from the limited space. Scott [Cartier], who was working on a physics-based space game, came up with one such solution. "I was starting to hit some limitations of the Yaroze. Each planet was comprised of several frames rendered out from a simple texture mapped sphere in 3D Studio. I could play tricks with having multiple color look-up tables (CLUTs), allowing for several color variations for each planet." This type of innovation was widespread in the community. "I don't think the limitations stopped people that much. The creativity was just astounding," says Scott.